The Board of Trustees and the Chancellor of the Peralta Community College District, Dr. José M. Ortiz, are pleased to announce the appointment of Dr. Eric V. Gravenberg as Interim President of College of Alameda. Dr. Gravenberg has served as Vice President of Student Services at Merritt College and has had a distinguished 38-year career in education. He begins his appointment July 15, 2013. Dr. Gravenberg has served in several senior leadership positions at major universities, both public and private. He is a seasoned administrator with a successful track record in building consensus, and cultivating a cadre of leaders dedicated to educational and economic equity. 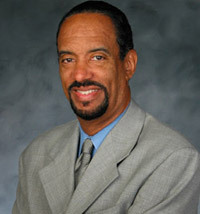 Formerly, he was Vice President for Undergraduate Education at Alliant International University in San Diego, the Associate Vice President for Enrollment Management and Student Affairs at CSU, Sacramento and Vice President with Noel Levitz, a higher education consulting firm specializing in enrollment management. Dr. Gravenberg has also served as the Associate Vice President for Enrollment Management at Howard University, the Director of Admission at UC Riverside, Director of the Learning Center at Humboldt State University, and Statewide Director for the CSU for Student Affirmative Action. Dr. Gravenberg has authored numerous publications and received a number of awards recognizing his accomplishments as an innovative, passionate and committed leader for educational equity. Dr. Gravenberg is civic-minded and engaged in community affairs. He has participated in various business and industry advisory councils and local foundations. Besides membership in a number of civic and professional organizations, he volunteers his time as mentor for high school and college students.